It’s official. Holiday season has arrived. In case all the turkey talk, Black Friday mania and Christmas trees didn’t tip you off – there’s another way to know for sure the holidays are upon us: social media platforms are tripping over themselves releasing new shopping features. Late last week, the platform introduced 3 new ways for users to discover, save and shop products. 1. You can now tap the Save icon to save something to your Shopping collection (which operates just like regular collections of saved posts). This self-curated wishlist can then be accessed directly from your profile. Not only does this mirror the way we actually shop (add everything to basket and decide later) but it also means there’ll be a constant reminder of your brand/items in users’ profiles. 2. A redesign of the current Shop tab is being tested, which would see the product image appear above the smaller post image, along with name and price info. This makes a lot of sense to me – if someone is visiting the tab it’s because they are interested in the items more than the content. 3. 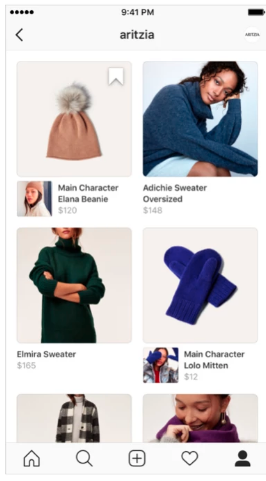 You will now be able to add product tags to videos – users can simply tap the shopping icon to reveal featured products, and their names and prices. Remember what I said above about social platforms tooling up for holiday season by enhancing their shopping features? Well Pinterest’s getting in on the act too! The company has partnered with select big name brands like Macy’s, Lowe’s and Kohl’s to launch “Gift Globes”. Just select your lucky recipient from a pre-set list and the globe will generate a personalised list of present potentials. In a fun twist, a shaking your phone displays all new product options (only when using the mobile app). 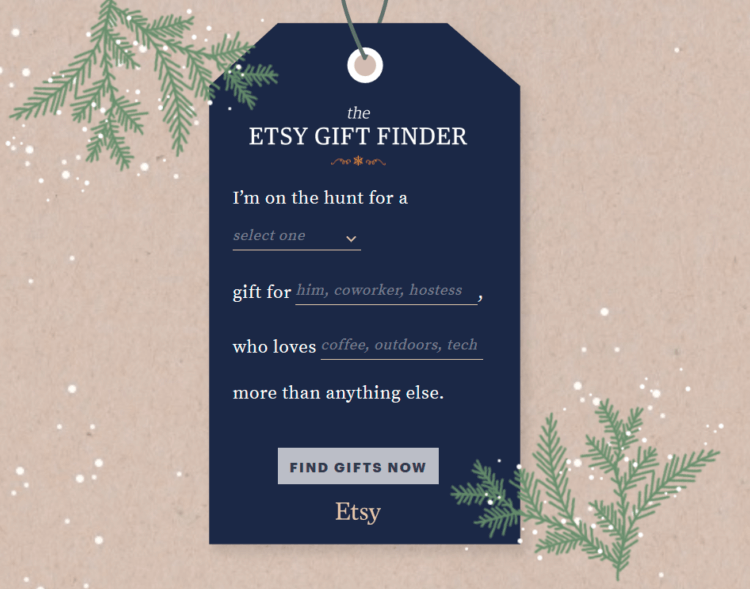 In a separate gifting initiative, Pinterest also partnered with Etsy for the “Etsy Gift Finder” tool. Shoppers simply fill in some basic info on a virtual tag, which then leads to a personalised gift page. The relatively new max-width videos are being used to promote both tools. 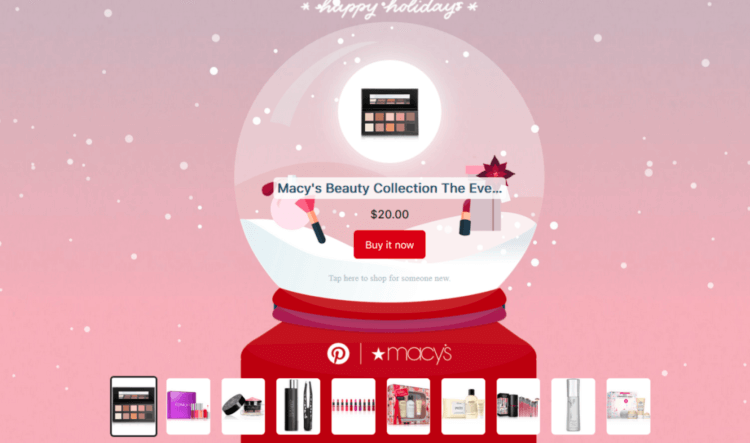 Given that US holiday shoppers are set to spend $1 trillion this holiday season, Pinterest also offered advertisers 5 tips to make sure they don’t miss out on all that ROI joy. Remember what I said above about social platforms tooling up for holiday season by enhancing their shopping features? Well Snapchat’s getting in on the act too! “Shop & Cop” is a new Discover channel where you can browse and buy items directly within the app. 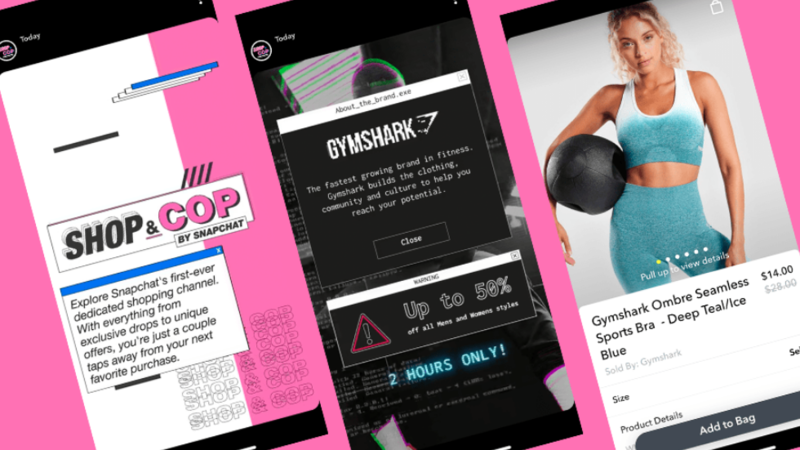 The first retailer to road test the new feature was UK-based fitness brand Gymshark, but by Black Friday over 20 brands – including Kylie Cosmetics – will have joined the purchase party with irresistible offers. All orders will be processed through Shopify’s ecommerce platform, meaning you stay within Snapchat the whole time. 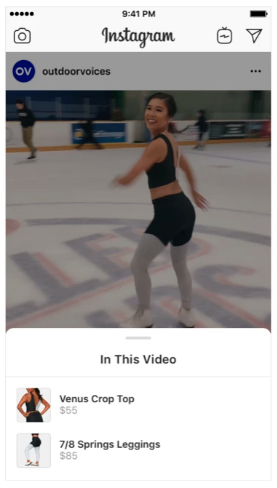 This isn’t completely new: you can already shop straight through the app with some of Snapchat’s ad units, and from time to time, through special filters. You can also buy Snapchat merch through Snap Store. 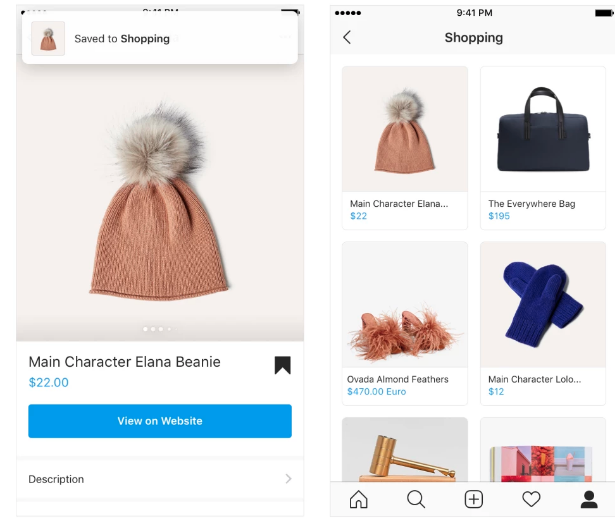 The difference with this though is that it will become more of a browsing destination; a Snapchat-curated channel featuring a mix of products from Shopify merchants. Black Friday is in full swing but the air in the SMSW Media HQ has been distinctly blue this week. And I figure it’s the same story in workplaces worldwide. Or at least workplaces with a social media team. Let me start this story by saying how much we love Ads Manager in general. It’s used all day, every day here and it’s head and shoulders above what any other platform offers. Yes okay, it can be glitchy. But considering it’s a free tool that’s constantly updating, we can usually let that slide. Plus, we’d take glitchy any day over what happened this week. Ads Manager went down on Tuesday in a major way – the worst we can remember. It wasn’t completely unavailable for the entire day but it was seriously buggy – to the point our to-do lists didn’t reduce at all. Data wasn’t loading, creative wasn’t loading, it kept crashing and advanced features were basically unusable. Live help was no help. That was down too. Another announcement followed later, promising that access was restored and systems were fully recovered. Which would have been great if it was true. Literally as I’m writing this (on Thursday), one of our social media managers Beth just screamed “So you DID publish you little sh*tbag? !” across the office. So yeah, we’re still experiencing issues. And actually, we were noticing more glitches than usual even before this happened. Anyway, let’s just hope there’s a mega update pending to make all of this worthwhile. Just last week I wrote about the importance of customer experience, and the impact of not living up to expectations. This week, some research from Facebook IQ and the Boston Consulting Group follows nicely on from that, analysing friction points and their associated costs across industries in the Asia Pacific region (APAC). The article also highlights pain points that constitute each friction category. You can see all the findings here. 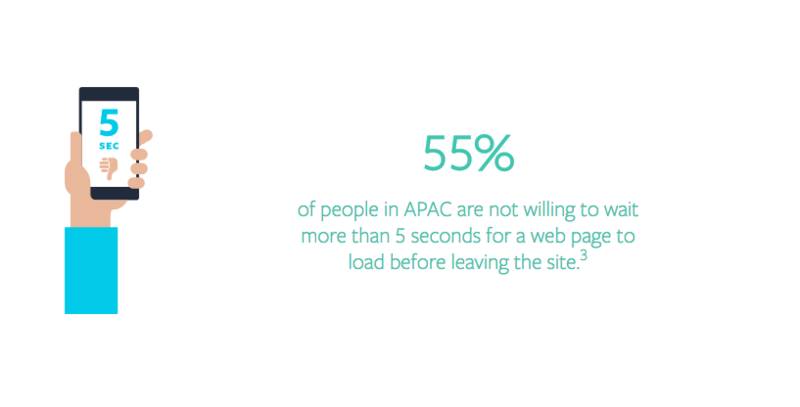 While the results are APAC-specific, they serve as a great reminder for all brands regardless of which part of the world you serve. 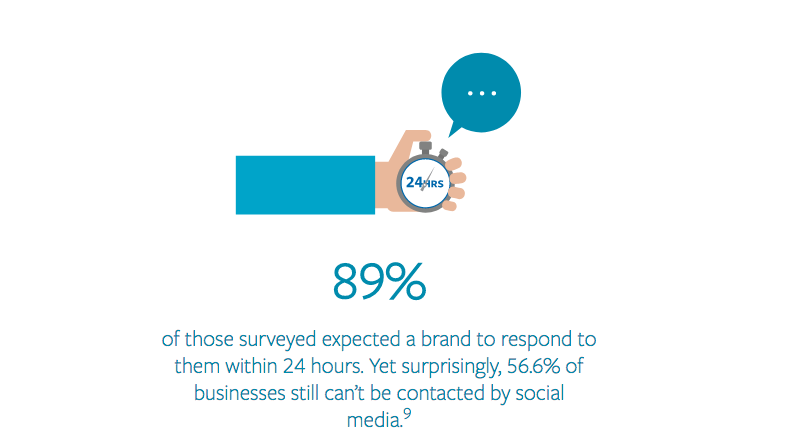 The equation really is as simple as the better your customer experience is, the better your conversions will be. Bonus bite: I forgot to mention this last week, but advertisers should note that Facebook isn’t including the page like button on ads anymore (unless they are specifically designed to gain page likes – an option under the Engagement objective). While this could affect your follower growth, I think it’s a good thing overall – I’m hoping this is a sign of Facebook placing less emphasis on fan counts as a measurement metric.